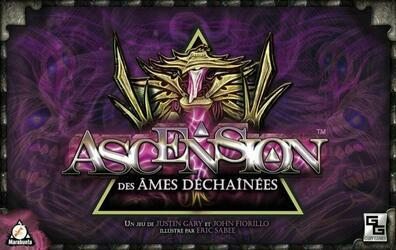 In Ascension, players all fight against the forces of evil together. They recruit heroes, build artifacts, all in the form of cards. They thus constitute a deck of their own, creating combinations to obtain more and more runes (and thus recruit heroes/artifacts), strength (to face the monsters) and honor (victory points). The variety of cards is impressive, and the game is set up and explained very quickly. Inspired by trading card games, but complete! Playable alone, with two, three or four players without ever losing interest Playable with 6 players and an extension (to be released). Contents of the box : 50 honor crystals, 200 cards, rules of the game, 1 thermoforming storage, 1 game board.